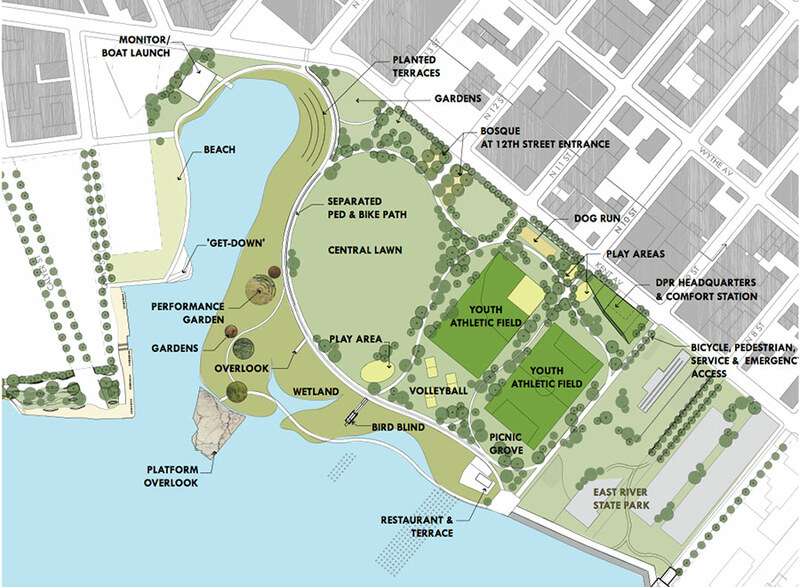 As AN recently reported, a fire that destroyed a warehouse in Williamsburg, Brooklyn has rekindled questions about a long-promised waterfront park. Back in 2005, Michael Bloomberg rezoned much of Williamsburg and Greenpoint leading to a surge in glassy towers. With those towers was supposed to come Bushwick Inlet Park, a 28-acre green space along the East River. But in the decade since, only parts of the park have been completed. That is partly because when the city rezoned the waterfront, it didn’t purchase the 11-acre Citistorage property that sits in the middle of the planned park. Now, with one of the warehouses destroyed, local residents and elected officials are urging the de Blasio administration to finally acquire the lot and deliver more green space. But with the property reportedly valued between $75 million and $100 million, the de Blasio administration says it has no plans to do so. In spite of that, over the weekend protesters used “light graffiti” to urge the administration to change course. 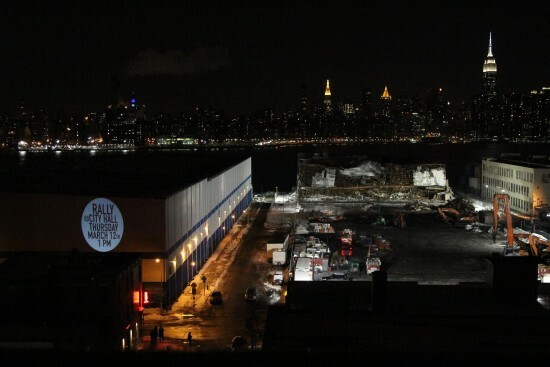 Gothamist reported that images were projected on the side of a storage facility next to the charred site that read: “The city mapped it, designed it, and promised it and we need it more than ever,” “Hey de Blasio Where’s Our Park?” and “This Right Here is Supposed to be a Park.” There were also details displayed about an upcoming rally planned outside City Hall on Thursday. The event in Williamsburg brings us back to 2011 when Occupy Wall Street protesters projected so-called “bat signals” on the side of the Verizon Building next to the Brooklyn Bridge.